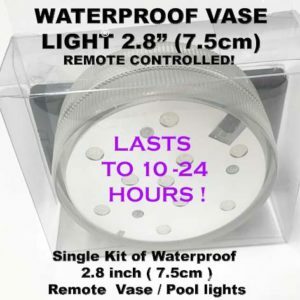 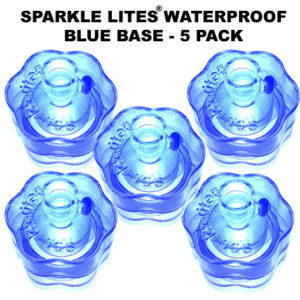 What are Sparkle Lites® Waterproof L.E.D light Bases ? 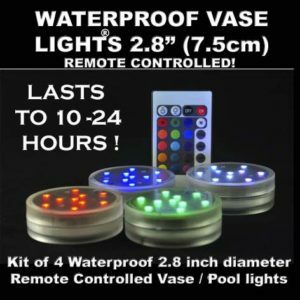 PLEASE READ: This information is very important. 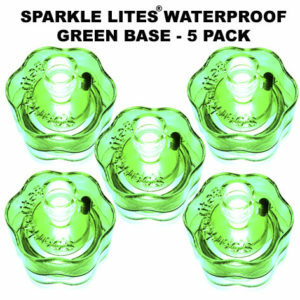 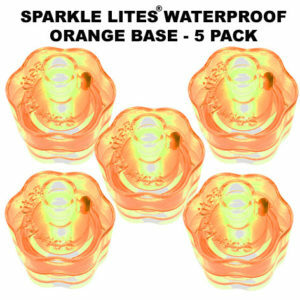 The Sparkle Lites® Waterproof L.E.D lighted Bases are the Foundation of the Sparkle Lites® System. 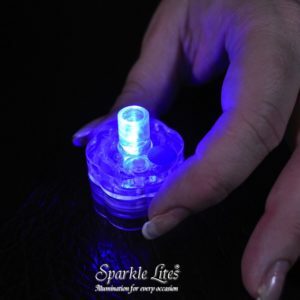 The Base is what lights up the fiber optic heads, without the bases the heads do not light up. 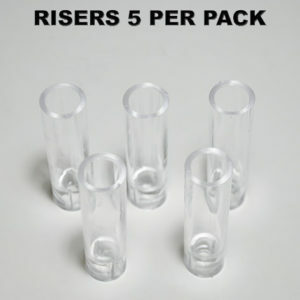 You can use and purchase the Bases separately, in fact every photo you see above shows the Bases in use in various decor applications. 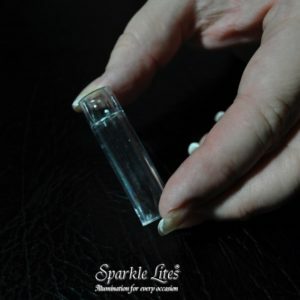 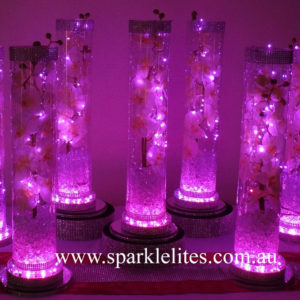 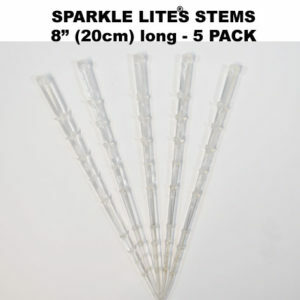 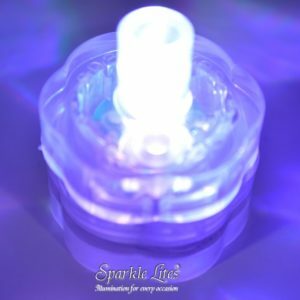 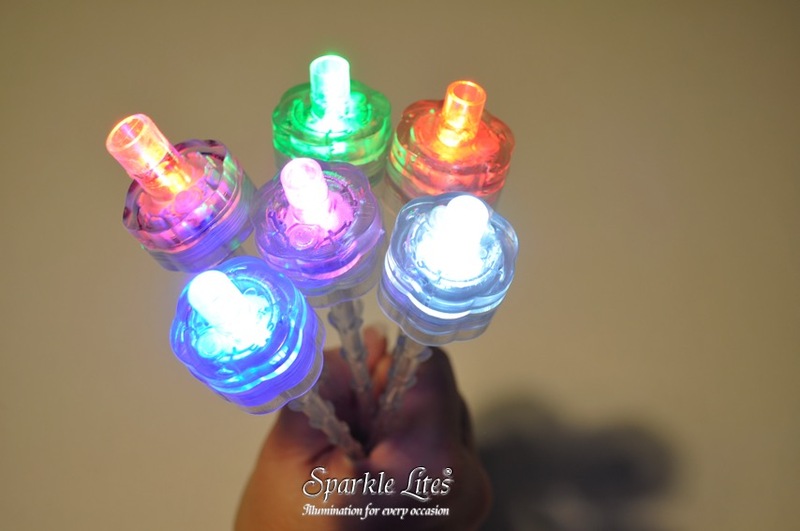 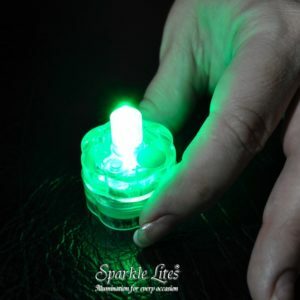 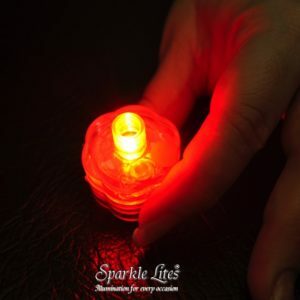 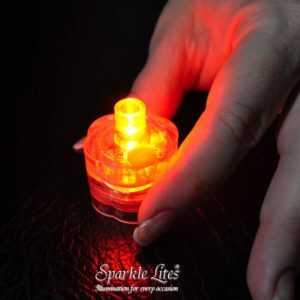 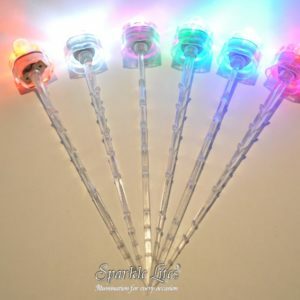 The Sparkle Lites® Base is waterproof, has a super bright long lasting L.E.D light inside, an opening at the top to insert the fiber optic heads and an opening underneath to insert a Stem , loop adapter, sticky adapter, to enable you to create a myriad of lighted effects in a myriad of applications. 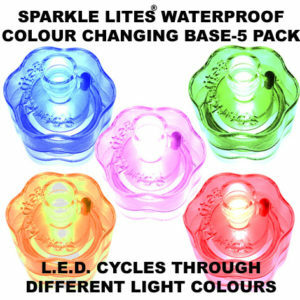 The Bases come in 6 colours plus a colour changing L.E.D. 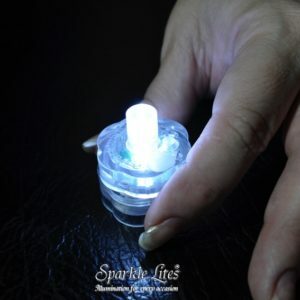 light. 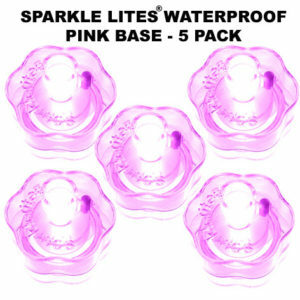 You can light up large balloons, vases with water or floral gel, light up paper lanterns, luminary bags and so much more with the Sparkle Lites® Bases. 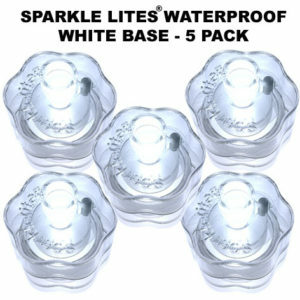 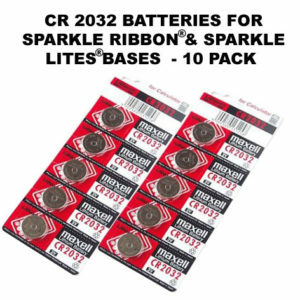 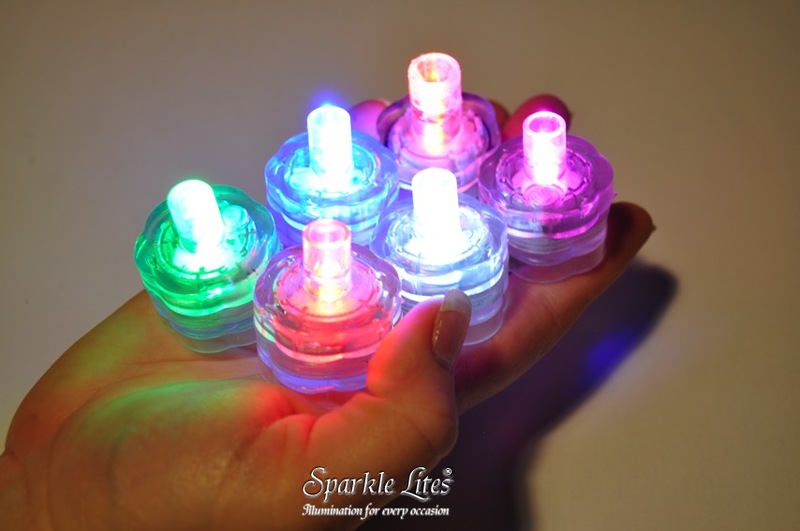 Please watch the videos as they clearly explain the Sparkle Lites® System, especially the bases. 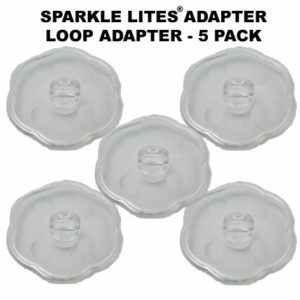 It will help you understand how the Sparkle Lites® system works. 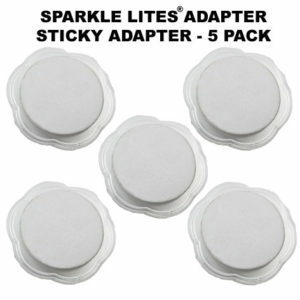 LEFT: The Sparkle Lites® System. 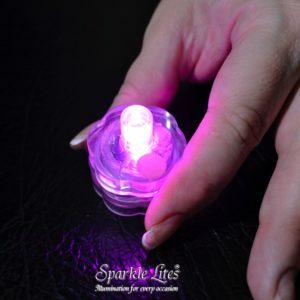 LEFT PHOTO: Shows the Sparkle Lites® Bases lit held in a hand to show you the size and brightness. This photo is shown with no stems, perfect to use in vases, gel beads, to light up luminary bags, candle bags etc.